Tom Clancy’s Rainbox Six Siege is now available for Xbox One. Rainbow Six Siege is the latest installment of Tom Clancy’s Rainbow Six award-winning FPS series. Developed by Ubisoft Montreal, Rainbow Six Siege features intense close quarters combat where Ubisoft challenges players to “master the art of destruction,” as they breach entry points and engage in deadly firefights. There are two Rainbow Six Siege bundles available; Rainbow Six Siege Standard Edition, which is the game alone, and Rainbow Six Siege Gold Edition, which is the game, season pass, plus bonus content. Both Rainbow Six Siege game editions have redeemable codes for Rainbow Six Vegas and Rainbow Six Vegas 2 for Xbox 360 and Xbox One through backwards compatibility. Check out the stream below celebrating the release of Rainbow Six Siege, dubbed #SiegeDay. Three other Xbox One titles made their way to the Xbox Store as well; Kung Fu Panda Showdown of Legendary Legends, The Incredible Adventures of Van Helsing, and Just Cause 3. 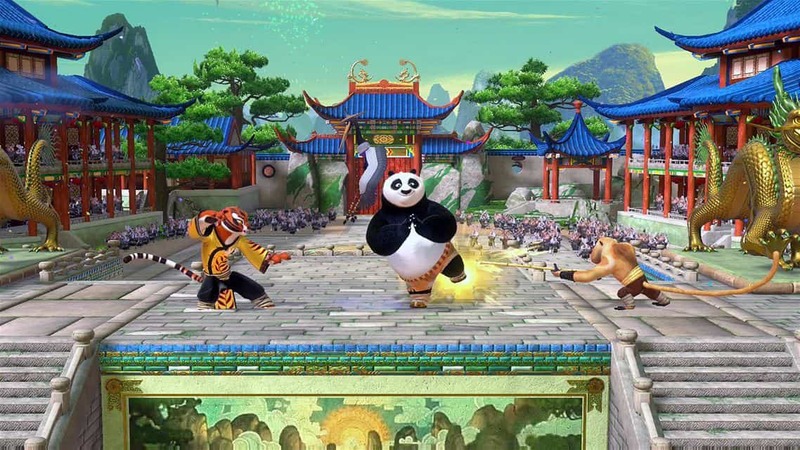 Showdown of Legendary Legends is a fighting game where you can fight with up to four players at once as Po, Tigress, Monkey, Tai Lung, Master Shifu, and all of your favorite Kung Fu Panda characters. Fight as your favorite Kung Fu Panda character in a tournament to see if you can become the best of the best. Kung Fu Panda Showdown of Legendary Legends is available to try for free or buy it for $49.99 in the Xbox Store. The Incredible Adventures of Van Helsing is another Xbox One title available for purchase. The Incredible Adventures of Van Helsing is a role-playing action adventure game where you hunt monsters through the gothic landscape of Borgovia, with your ghostly sidekick, Lady Katarina. The Incredible Adventures of Van Helsing is available for $14.99, but you can also pick it up for free through the December Games with Gold program for Xbox Live Gold members. Just Cause 3 is the long awaited, destructive follow-up to Just Cause 2. Every game in the Just Cause series, there is always a struggle to whether the game is a “Just Cause,” or “Just (Be)Cause.” You have a large arsenal of weapons and vehicles, and with the help of your grapple, parachute, and new wingsuit, you can virtually fly through the landscape as you once again fight to overthrow a vicious dictator of a beautiful island nation. Take a look at the destructive chaos you can wage against practically everyone in Just Cause 3 in the gameplay video below. There are two Just Cause 3 game bundles available, and both come with a code for Just Cause 2, available to play on Xbox 360 or Xbox One through backwards compatibility. The first Just Cause 3 game bundle features just the game plus the Just Cause 2 game code, and Just Cause 3 XL Edition features the game, the Just Cause 2 game code, and the Just Cause 3: Air, Land & Sea Expansion Pass. Which one of these Xbox One titles will you be getting? Buy The Incredible Adventures of Van Helsing ($14.99) or sign up for Xbox Live Gold and get it free this month! Will you be buying Rainbox Six Siege or any other Xbox One titles?